Humans have possible four general blood types: A, B, AB and O; this classification is derived, according to scientists from proteins which are found on the surface of cells which are designed to fight off bacteria and viruses in the human body. The vast majority of humans beings on this planet have these proteins which means they are Rh positive. But a minor group, the Rh Negative lacks these proteins. So how is this crucial difference explained scientifically? And why does it even exist? Throughout the years, several scientific studies have searched for this answer. Now, scientists believe they have found out a fascinating thing in regards of Rh Positive and negative. According to this “scientific” theory, in the distant past, extraterrestrial beings visited the Earth and created, through “genetic manipulation,” the Rh Negative with an intention of creating a race of “slaves”. The Basque people of Spain and France have the highest percentage of Rh negative blood. About 30% have (rr) Rh negative and about 60% carry one (r) negative gene. But Aliens… really? According to investigators, this would explain why Rh negative mothers do not tolerate fetuses with RH Positive blood; thus, this radical, hard-to-explain, by most natural laws intolerance could derive from an ancient genetic modification why Rh positive and Rh negative groups tend to “repel” each other instead of merging. This theory goes back to ancient Sumerian times when a highly advanced “alien” race came from elsewhere in the cosmos; The Anunnaki, building and creating the first human societies. It is believed that these ancient beings planned and genetically altered primitive human species, creating stronger and more “adequate” beings that were used as slaves in the distant past. The Rh negative would be the legacy that the Anunnaki left on Earth among other things. Interestingly, the negative RH strain is characteristic, for example, of the British royal family, which has generated controversial theories about a possible extraterrestrial lineage. 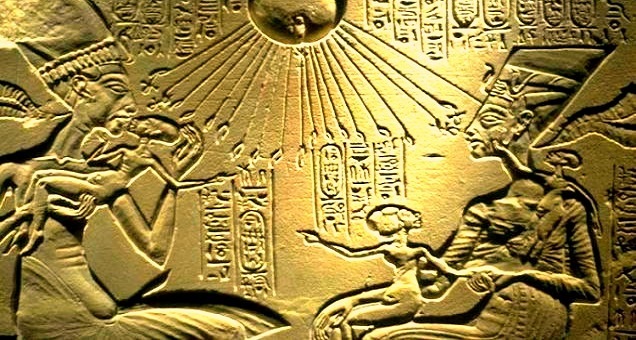 although this hypothesis has not been confirmed, the disturbing questions it generates floats in the air: how civilized world would react to the fact that a small portion of the Earth’s population has a genetic code that has been altered in the distant past by highly advanced extraterrestrial beings. What if it is possible, after all of our “skeptical” views that in the end, the Negative Rh group of people have a connection to “beings” not from earth. What if there still is, a mysterious bond that connects them? How would life on Earth change? This post was republished from simplecapacity.com. You can find the original post here.